Themed by the four elements «Sea - Earth - Sand - Air» that run the hotel, flooded with sunlight and with great sea view, SESA’s deluxe double rooms are the absolute definition of comfy luxury accommodation. 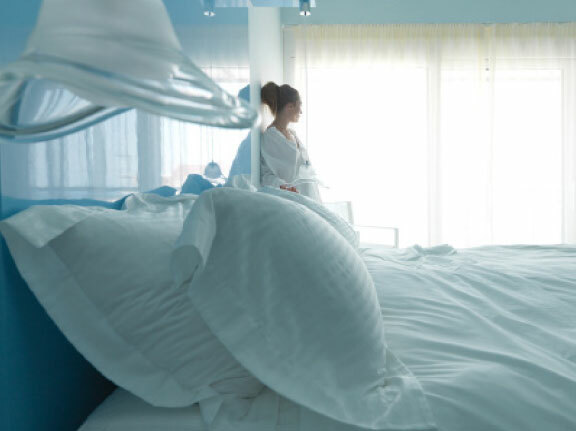 Modern facilities, Korre beauty products, delicate fabrics, fluffy pillows and Cocomat beds make your stay the ultimate relaxing experience. Advantage of the week’s offers and book your room now! With rooms up to 32m², there is a lot more than comfort here. A queen size bed from Cocomat and awesome fluffy pillows guarantee the best sleep ever. A flat screen TV, a DVD player, and free Wi-fi provide enough in-room entertainment. Do we mentioned unobstructed sea view and a big sunny veranda? In the embrace of Cocomat! This is a paradise retreat for those who want privacy and luxury accommodation and especially for the newlyweds. Inspired by the element of sand, exudes the ultimate Zen feeling, ideal to offer serenity and comfort to the max. 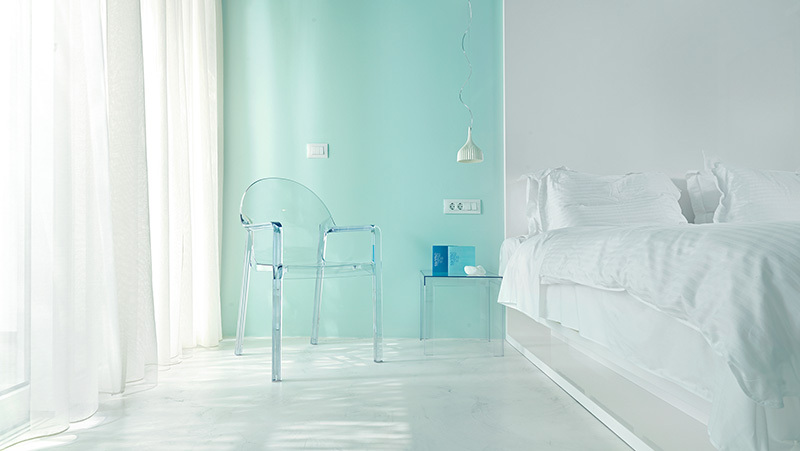 Add the unique view of the Ionian blue, the Korre beauty products, the fine Cocomat beds and the high quality services and there you go, you have the best vacation ever! Your bathing suit on, it’s time for fun!